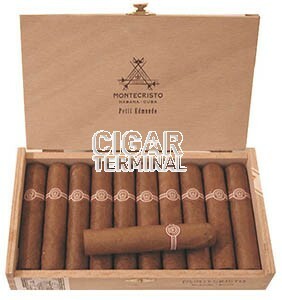 The Montecristo Petit Edmundo is a short and a strong Habano, of Petit Robusto format, 52 ring gauge, 4.3” (110mm) long and comes in box of 10 cigars. It is basically a shorter Edmundo, with a different flavor profile though, due to the different blend used for this cigar. Nevertheless, it keeps this unique Montecristo profile, and it is a powerful cigar.